Safford, Arizona—Allison Lopez of Safford was seriously injured Wednesday afternoon when she was ejected from her SUV after it was struck and rolled, finally coming to rest on its roof. 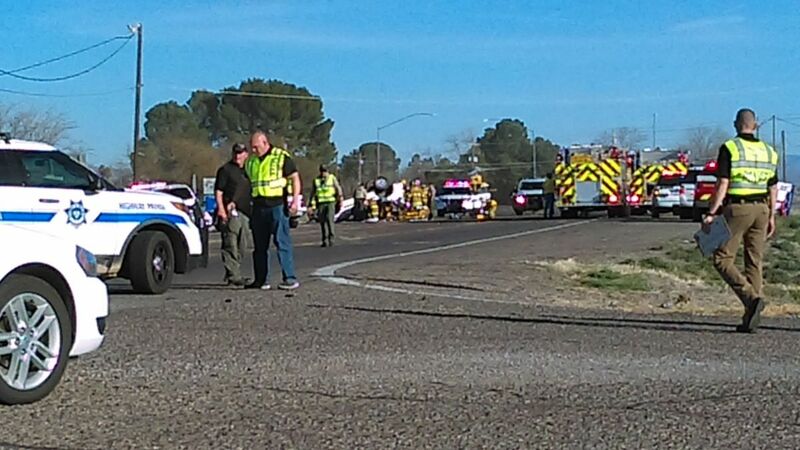 Ms. Lopez was driving east on U.S. Highway 70 when Anthony Bejarano, also of Safford, failed to yield at the intersection of Highway 70 and Montierth Lane. Ms. Lopez suffered a fractured skull, bleeding on the brain, a cervical spine fracture and lacerated ear. She was air evacuated to Banner University Medical Center in Tucson. Ms. Lopez’s two passengers, an unidentified youth and Cary Kelly, were transported to Mount Graham Regional Medical Center for treatment of their injuries. They later were released. Neither Mr. Bejarano nor his passenger was injured. Preliminary findings indicate Bejarano may have been under the influence. He was arrested, booked into jail and faces multiple charges. The Arizona Department of Public Safety accident investigation continues. We wish Ms. Lopez and her passengers swift and full recoveries.